At Virtue Fence, we understand how much our customers in Northern New Jersey love their four-legged friends. We also understand how much care and attention pets require. 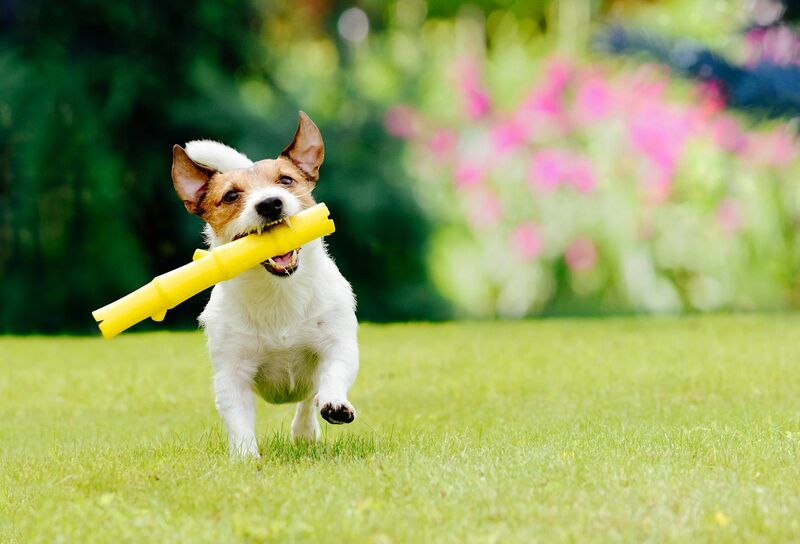 Wouldn’t it be nice if you didn’t need to reach for a leash every time your furry best friend needed to get some exercise or do their business? When you partner with Virtue Fence, we can install a secure pet fence system in your yard, allowing you to simply open the door and let your dog run free without having to worry that she’ll wander off. Not all fencing is suitable for homes with pets. The ideal pet fence is built high enough that your dog won’t be able to jump over it. It also needs to be built with solid panels or with narrow slats to prevent your pet from squeezing through or getting stuck. At Virtue Fence, we offer a wide range of pet fencing products along with tailored services to ensure our customers’ pets will be safe. With so many options available, Virtue Fence makes it easy for homeowners to find a pet fence that will work with their unique needs, property, and budget. For example, our chain link fencing is an exceptionally affordable option that is perfect for homes with small pets. We also offer beautiful vinyl and wood fencing that, in addition to keeping your pets in the yard, will provide you with privacy from your neighbors. And, for homes with larger animals, our aluminum fencing may be a great option. In addition to its elegant design, aluminum is perfect from properties with uneven terrain, as it can be installed without leaving any gaps. As the highest rated fencing company in Northern New Jersey, Virtue Fence has a proven commitment to providing our customers with beautiful, long-lasting fencing solutions that are tailored to our customer’s needs. To begin the process of having a pet fence installed on your property, contact us today.